Welcome to the Tip of the Week section! EMS is filled with tips and tricks of the trade! Our goal is to share these tips in order to improve patient care, become more efficient and effective with patient care and provide some information that paramedics may choose to incorporate into their practice! Have a tip you want to share? Email us at paramedicportalontario@lhsc.on.ca. 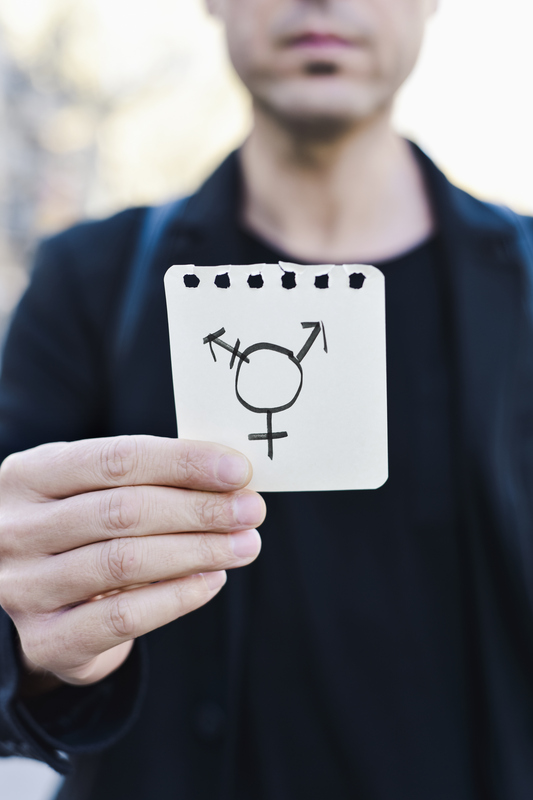 Are you interested in expanding your knowledge of caring for trans* patients? The following video is a great 6 minute video made by some trans* Nova Scotians specifically for health care providers. Good information to help better serve a population whose health can be negatively affected when providers get it wrong. This week’s tip is a precursor to our upcoming student placements. In the upcoming weeks, many aspiring paramedic students will be taking to the various ambulances and preceptors available to them. They will be thirsting for those big calls and knowledge to support them in their development; but it’s not always the big calls that make the student. Preceptors can have a big influence and impact on the student’s learning and development. A very important skill that the preceptor must posses is the ability to understand what the student’s needs are and implement methods to ensure those needs are met. An assessor: Assessment is a process of improvement, based on providing high quality feedback. This usually comes from only one person and depends very much on the context in which it is delivered. Improvement is measured relative to the previous performance, not a set standard of predetermined outcomes. The goal of an assessment is to improve performance. A mentor: This helps the student learn and grow through clinical experience. The ultimate goal of mentorship is a self-actualized student who is able to direct his/her own development and growth. An evaluator: You, in conjunction with the student’s college, will determine the students ability to perform in the field post-graduation. 1. Be in the right role at the right time (right time is determined by the needs of the student). 2. Ensure the student understands what function you are fulfilling. You are the greatest extension of the classroom and have the chance to have the biggest influence and positive impact in the learning experience. In Street Drugs Part 1: The Light Weights, we reviewed some of the terms used when referring to the weights of street drugs. Here, we’ll list the heavier or larger quantities sold and bought. Describes 1/8th of an ounce of a hard drug or 3.5grams. Describes 1oz, or 28g of drug. Many low level drug dealers purchase street drugs by the ounce and sell by the gram. Describes 9oz of drug. Term is usually reserved to describe hard drugs such as crack, cocaine, meth and heroine. Lower to mid-level drug dealers generally purchase street drugs by the ‘9 pack’. Describes 18oz of drug or 0.5kg. This reflects mid-level trafficking. Describes 1kg of hard drug. Generally speaking, hard drugs are sold by the kilogram, however marijuana is sold by the pound. Many of us have heard varying terms for measuring the weight of street drugs. It’s all about how our patients describe what they’ve consumed. The following is a list of the key terms often used and heard on the street. Refers to meth. Meth can be sold as little as 1/10th of one gram at a time – which is the equivalent of one point. Therefore, one gram would equal 10 points. This is similar to Heroin which is also sold by ‘point’. Refers to crack. Many users are unable to afford to purchase crack by the gram. Instead they purchase a ‘20 piece’ or ‘40 piece’ which is equivalent to 0.2g or 0.4g at a usual cost of $20 or $40. Most street drugs are purchased by gram (measured weight) or less. So for example, a person may buy a gram (1g) of crack or cocaine. Describes approximately 1.7g of a hard drug such as crack or cocaine. The term half ball is refers to the actual weight of an ‘8 ball’. With the implementation of IQEMS we have added an additional communication form for the Paramedic Services that utilize the Interdev/IMedic platform. 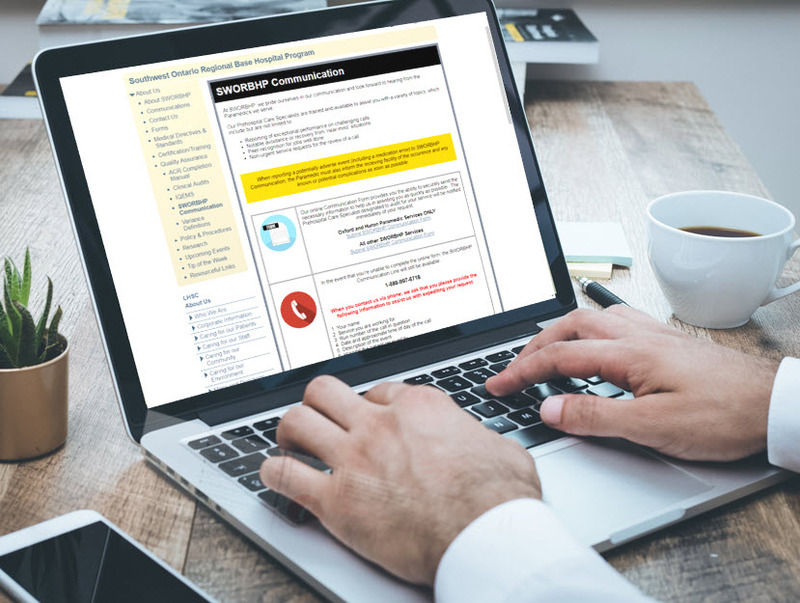 Click here to visit our SWORBHP Communication forms. Any questions please feel free to contact us at sworbhp@lhsc.on.ca. QUESTION: What is the best and most appropriate way to administer D10W? Answer: Great question! There are actually a couple ways of doing so. Keep in mind that administering D10W to hypoglycemic patients is new to the majority of Paramedics in SWORBHP region; and that the appropriate dose is 0.2 g/kg (2 ml/kg) to a maximum of 10 g (100 ml). It’s likely that the D10W on your trucks is supplied in a 250ml bag (or similar), which means that you have far too much medication available in that one bag and are required to measure out the appropriate volume in order to administer the appropriate dose. So, how do you measure out the appropriate volume? 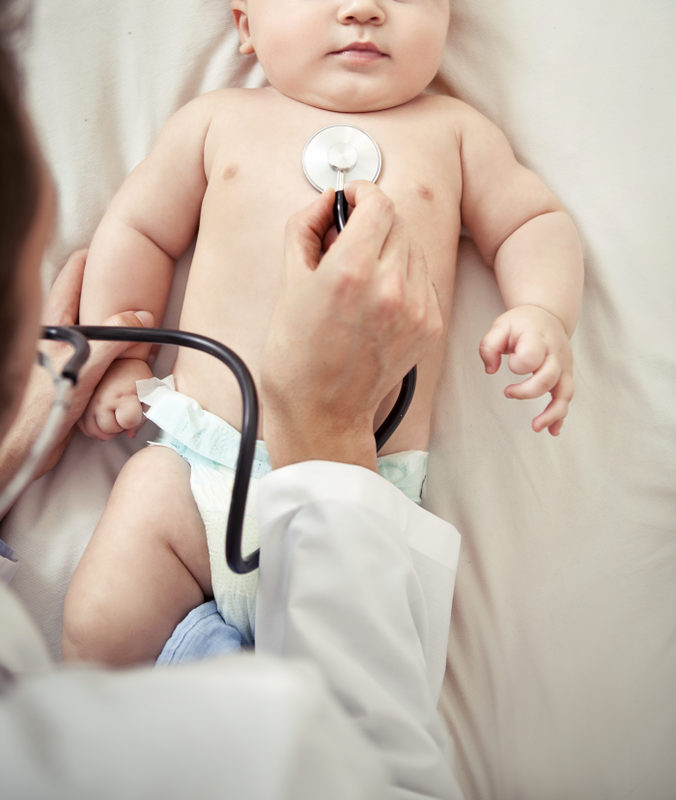 CASE: Your hypoglycemic pediatric patient weighs 40 kg – the required dose is 8g and required volume is 80 ml. Option 1: Set up an Inline Volumetric Cylinder (ie. Buretrol) to the bag of D10W and fill the chamber with 80 ml of fluid. Once filled with 80 ml, clamp above the chamber and run the line below. The inline Volumetric Cylinder prevents larger volumes of fluid inadvertently being infused. Option 2: Use a large syringe to draw up 80 ml of D10W directly from the bag and administer via IV push (much like you would push D50W). Note: SWORBHP does not support simply attaching the bag of D10W to an IV line and measuring volume administration via bag markers. One of the above two options must be used. When selecting your option for administration, use clinical judgment and decide based on ease of use, safety, available equipment and timely medication delivery. Ensure you go through the RIGHTS of medication administration and perform an independent double check with your partner. The most important step is safety – safety of the appropriate dose, route, method, etc. As you will have noticed during your Fall Mandatory CME, we are deemphasizing the need to inspect the placenta post-delivery. 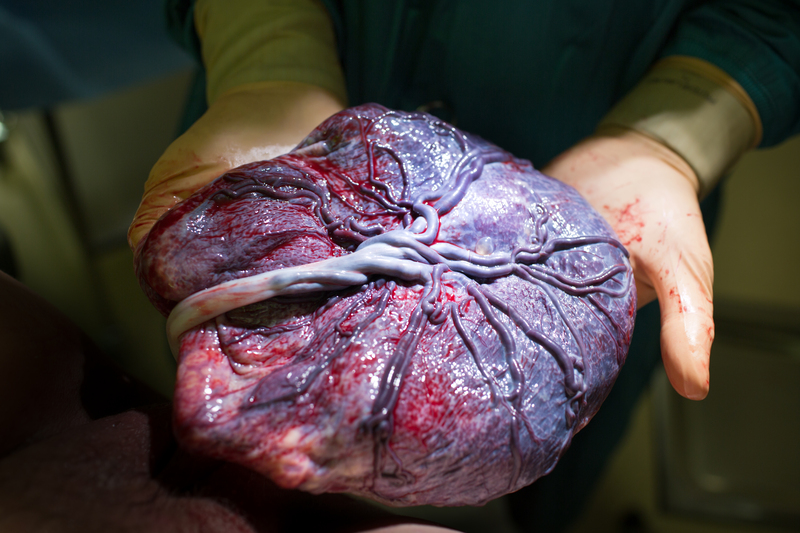 We have done this because we are far from experienced placenta inspectors – it just not something we see very often. For those of you who are interested, this video provides a great overview of what the pros are looking for. Please remember to bring the placenta to the hospital! Pediatric Cardiac Arrest – When Do I Leave? Does the ALS PCS 4.3 (with in-force date of July 17, 2017) have you confused as to when you’re to initiate transport with a pediatric cardiac arrest? We understand the potential for confusion! The excerpt below is found in the ALS PCS v4.3 within the Medical Cardiac Arrest Medical Directive. The 1st paragraph speaks to initiating transport after the 1st analysis in cases of known reversible cause. The 2nd paragraph speaks to initiating transport after 3 analyses for patients with refractory VF, in addition to pediatric patients in cardiac arrest. So what does this actually mean? What are the intentions of these Clinical Considerations? 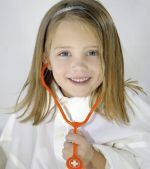 Ultimately, the medical directive allows for clinical judgment: It allows the paramedic to transport pediatric cardiac arrest patients after one analysis if presumed reversible causes of cardiac arrest exist (ex. sepsis, hypoxia) or otherwise stay on scene for 3 analyses (e.g. VF arrest). 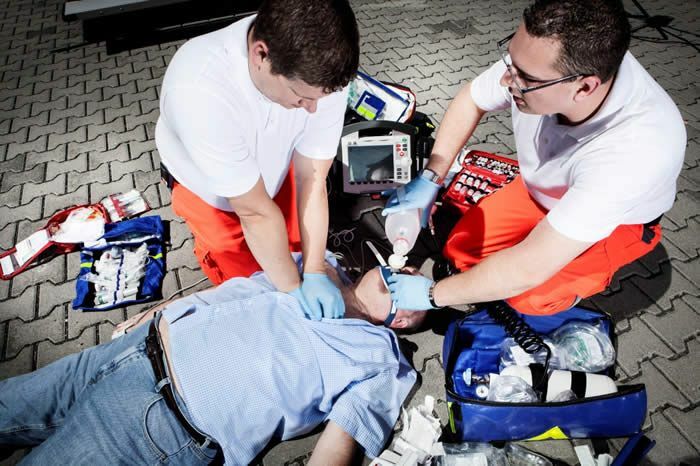 Did you know… patients in cardiac arrest should NOT routinely be considered for naloxone administration. Naloxone can reverse respiratory depression and apnea in opioid toxicity but it does NOT reverse cardiac arrest. Focus during cardiac arrest should be on effective CPR and ventilation in addition to defibrillation and epinephrine (ACPs). In rare circumstances such as with a high ETCO2 or narrow-complex PEA, naloxone could be considered after consultation with a BHP. 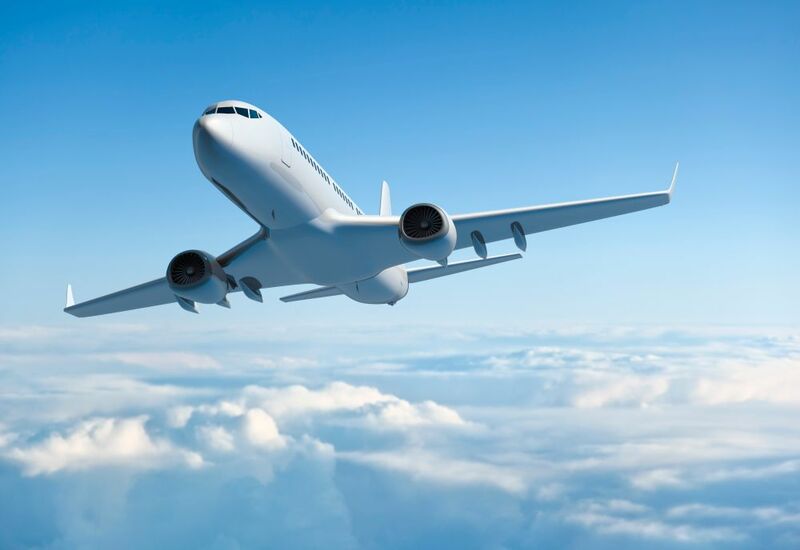 Patients who present with mild symptoms after recent travel may be afflicted with a travel-related disease. A thorough history, including countries that the patient recently traveled to can help identify this possibility. While many of these diseases are vector-borne (e.g. Malaria, Zika virus), some are communicable between humans (Ebola, MERS). Never take a chance, always opt for the appropriate level of PPE available. Case: A 2 month old has had a cold for 2 days. The baby’s father called 911 when he thought the baby stopped breathing and turned blue. The father performed CPR for approximately 30 seconds and the apparent apnea lasted less than 1 minute. Click on the link below to hear the audible respiratory sounds. What sound are you hearing? Answer: Wheezing. Note the expiratory wheeze associated with the lower airway, in this case, consistent with bronchiolitis. Case: A 3 year old male has had rhinorrhea since yesterday and woke his parents with noisy breathing around 3am. Answer: The sound you are hearing is CROUP. Note the barking cough and stridor that are indicative of croup. Case: A 68 year old male is complaining of ischemic-type chest discomfort. During your assessment, he states that the 911 operator told him to chew some of his Aspirin, which he says he did. Assuming he meets the indications and has no contraindications, do you administer more ASA?Answer: ASA is a safe medication with a wide therapeutic index (the effective dose without side effects can be from 80 – 1500 mg). The additional dose provided by paramedics will not exceed the therapeutic dose while ensuring the correct administration of correct dose of the medication. Therefore, apply the cardiac ischemia medical directive as if no care had been rendered prior to your arrival. Case: The mother of an 8 month old female called 911 when her daughter’s breathing sounded fast and noisy. She had been coughing for a few hours this morning, but the breathing issues are new. Answer: The sound you are hearing is STRIDOR. Note the high pitch wheeze on inspiration and the lack of ‘noisy’ breathing on exhalation. You may not be aware, but all calls that involve a Base Hospital Physician (BHP) patch are audited by the Local Medical Directors. Based on these audits, feedback may be given to a variety of individuals including paramedics, the BHPs and even physicians from admitting services regarding patients who may have recently been under their care. This feedback is given in attempts to improve patient care both at the level of the individual, but also at the level of the entire prehospital and hospital system. BHPs are instructed to record your Run Number on each patch sheet in order to link it to the ACR. If unavailable at the time of the patch, please provide it as soon as feasible. Also, the patch sheet acts as a permanent record of medical orders. As a result, the BHP must be the only individual who records information on it. It’s now simplified and no longer has a patch form number; meaning you don’t need to ask for it anymore! 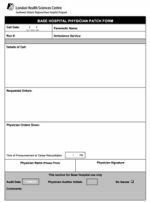 The patch form is a Physician’s order and is to be completed by the Physician ONLY; meaning, please DO NOT add, attach or write any additional information on these forms. 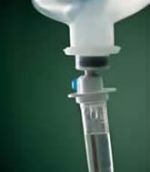 Remember to dilute Gravol 1:9 with normal saline when administering it IV. Obtain blood glucose readings on patients presenting with an altered LOA, agitation, seizure or signs and symptoms of a stroke. Cast as wide a net as you can… STEMI care starts with recognition, which requires capturing a 12-lead ECG as early as possible on any patient with possible ACS. Perform a 12-lead ECG with the first set of vital signs on patients with any of these symptoms: chest discomfort (often described as a heaviness or pressure that may radiate into the left arm, jaw or shoulder), shortness of breath, nausea, vomiting, weakness, or syncope. STEMIs can sometimes present with atypical symptoms; especially in elderly, female, and diabetic patients. STEMIs also evolve and may not be evident on an initial ECG, so keep the leads connected and perform additional 12-leads during transport. Also, keep in mind that prehospital ECG abnormalities may resolve by the time the patient receives a 12-lead in the Emergency Department. As a result, prehospital ECGs also have the potential to change the ED management of patients who are not experiencing a STEMI. Also, remember to repeat an 12-lead when pain increases and mark on the 12-lead the patient’s pain scale, for example: “with x/10 pain). This helps interpret the 12-leads in hospital, even if there is no **ACUTE MI** or **STEMI**. Case: A 39 year old male is found unresponsive. A bystander states they were going to try a new drug; his buddy went first. He presents with the classic signs and symptoms of opioid toxicity and his ventilation hasn’t improved following 3 doses of naloxone and ongoing assisted ventilation with a BVM. You’re still 20 minutes from the ED. You patch to the Base Hospital Physician (BHP), who orders 2mg of naloxone IN (provided you have it in stock). Consider this: Written medical directives are considered offline medical control, and BHP patch orders are considered online medical control. 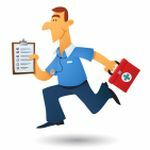 BHPs can give orders that fall outside of the medical directives (online trumps offline) provided the intervention is within the paramedic’s scope of practice. Yes, administer the 2mg of naloxone IN. 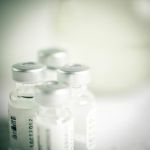 Consider this a similar example to requesting additional nitroglycerin from a BHP for a patient who has ongoing ischemic chest discomfort following the administration of 6 doses. A higher dose in this case, is still within the paramedic’s scope of practice. Keep in mind, however, that if a BHP directs a paramedic to perform an assessment or intervention that exceeds the paramedic’s scope of practice (for example, asking a PCP to administer epinephrine to a VSA patient), the paramedic must advise the BHP of such and notify the physician that he or she cannot comply with the direction as it exceeds his or her scope of practice. where η is the dynamic viscosity of air; l and r are the length and radius of the airway respectively. Airway resistance depends greatly upon the size of the airway opening – inversely proportional to the fourth power of the radius. Any disease affecting the respiratory tract has the potential of increasing airway resistance. Changes in airway resistance can occur suddenly and be sustained as in the case of an asthma attack or anaphylaxis. However, airway resistance can also vary between inspiration and expiration. Patients with emphysema experience a destruction of the elastic tissue of the lungs which holds the small airways open. During expiration, particularly forced expiration, these airways may collapse causing increased airway resistance. Vigilance in monitoring patients’ breathing at all times is prudent. When muscle tissue breaks down and cellular contents are released into the circulation, complications can ensue: compartment syndrome, peripheral neuropathy, acute renal failure, metabolic derangements, disseminating intravascular coagulopathy (DIC) and death.“Rhabdomyolysis is a clinical and biochemical syndrome that results from acute necrosis of skeletal muscle fibers and the leakage of cellular contents into the circulation” (Counselman, 2011). 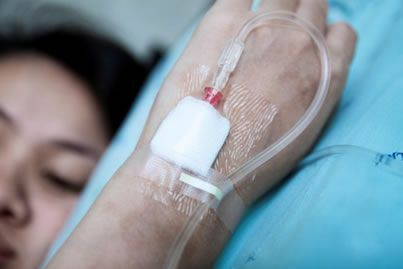 If your patient is potentially suffering from rhabdomyolysis, then establishing IV access would be an appropriate procedure. Counselman F.L., Lo B.M. (2011). Chapter 92. Rhabdomyolysis. In Tintinalli J.E., Stapczynski J, Ma O, Cline D.M., Cydulka R.K., Meckler G.D., T (Eds), Tintinalli’s Emergency Medicine: A Comprehensive Study Guide, 7e. Retrieved December 01, 2015 from http://accessmedicine.mhmedical.com/content. aspx? bookid=348& Sectionid=40381560. Try obtaining a 12 lead early in the call. A few extra seconds to attach the 12 lead cables along with the monitoring electrodes could benefit the patients overall outcome. 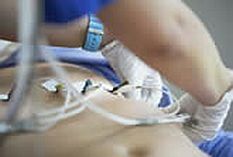 The 2010 AHA Guidelines for ACLS recommend using quantitative waveform capnography in intubated patients during CPR. 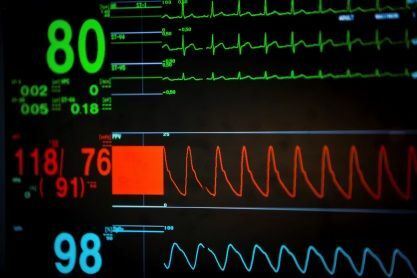 Waveform capnography allows providers to monitor CPR quality by optimizing chest compressions and can be used as a tool to help detect ROSC (return of spontaneous circulation) during CPR. Measurement of a low EtCO2 value (<10 mmHg) during CPR in an intubated patient may indicate that the quality of chest compressions needs improvement. 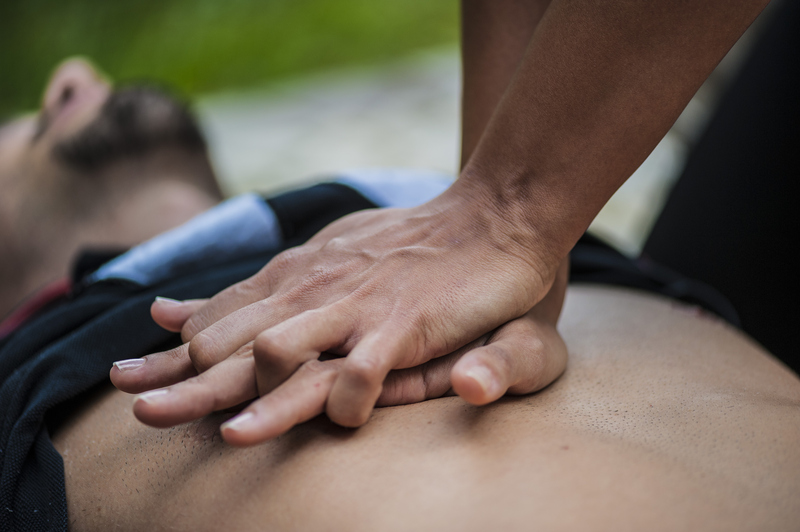 High quality chest compressions are achieved when the EtCO2 value is at least 10-12 mmHg. If EtCO2 is less than 10 mmHg, determine if provider fatigue is occurring. When ROSC occurs, there will be a significant increase in EtCO2 (~35-45 mmHg) which indicates a dramatic increase in cardiac output resulting in increased perfusion. 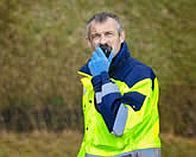 The CO2 that accumulated during the cardiac arrest is now being transported to the lungs, is exhaled, and is measured by the EtCO2 detector. In other words, it’s not an accurate SpO2 until you decide it is. How SpO2 works: The probe emits two wavelengths of light from one side of the probe and measures the amount of each of those wavelengths that reaches the other side. As the light travels through blood in a finger the oxyhemoglobin absorbs one wavelength and deoxyglobin absorbs the other. The results are microprocessed into a percentage of bound Hb and presto: SpO2. Poisoning—Hb carries stuff other than O2, and the SpO2 only measures if the Hb is bound, not whether it’s bound to actual O2. If something else has displaced oxygen on the Hb, the SpO2 can’t tell the difference. Carbon monoxide poisoning is an example (smoke inhalation or smokers). A life-threatening arterial desaturation can be masked by a falsely reassuring SpO2. SpO2 is averaged over several seconds, therefore you may have a newly hypoxemic patient and the SpO2 has not yet caught up to the true reading. Think: hypoxia during intubation. 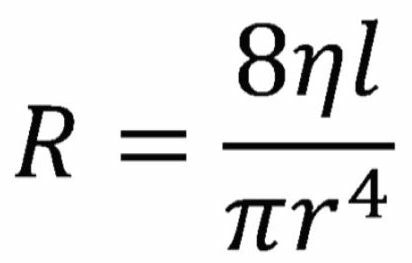 Fit/displacement of probe—incomplete capture of both wavelengths of light can result from ill-fitting or slightly displaced probe resulting in falsely inflated or deflated readings. If your defib isn’t configured to automatically display the SpO2 waveform you can dial it up easily on each call. A curvaceous waveform at least tells you the SpO2 reflects movement of blood through the patient’s finger. So to recap: when you are measuring SpO2 you must always consider whether the result is actually a reliable measure of patient oxygenation or if it is CRAP! Mechem, C.C. (2015). Pulse Oximetry. Up To Date. Start a fluid bolus on an adult patient that has a SBP > 89 and continue the bolus until the SBP reaches 100. Remember those “Four Stages of Learning”? Well, no longer is Unconscious Competence the top of the food chain. It has been argued that stalling out in this fourth stage allows development of bad habits, complacency, loss of theory mastery and failure to keep up with emerging research and innovation. A fifth stage of learning is being debated that embraces creativity, problem solving in novel situations and the pursuit of ongoing learning. This fifth stage has been called “Reflective Competence”, “Enlightened Competence” and “Conscious Competence of Unconscious Competence”. Essentially it means a skilled provider is aware of and nimbly avoids the traps of stage four complacency. In which of your many skills do you practice this fifth stage of Reflective Competence? Chapman, A. (2015). Conscious competence learning model. Businessballs.com. Please remember to attach a copy of the ECG before completing your ACR. This enables us to complete ACR audits faster and more effectively. This New Year make sure your Ontario Paramedic Portal account information is up to date and accurate! Whether you’ve switched services, changed your last name or have new contact information.Help us keep you up to date and in the loop about all things relating to your certification and education. 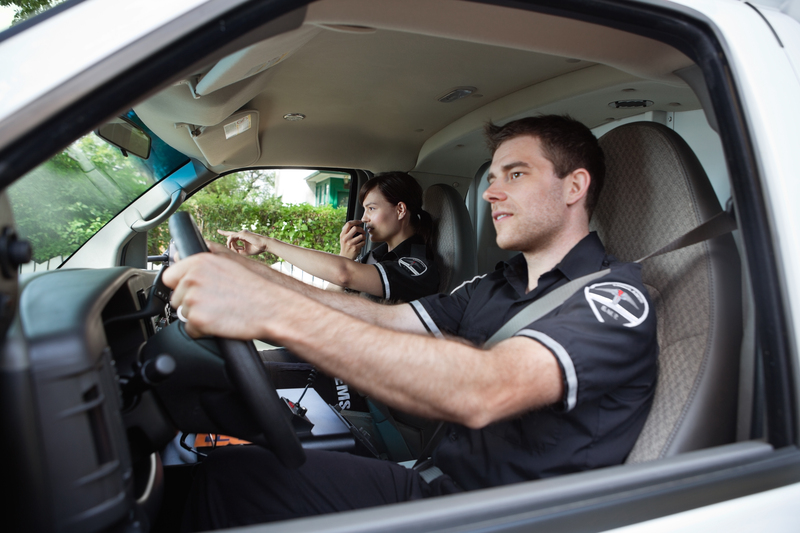 www.paramedicportalontario.ca and select “ACCOUNT SETTINGS”. 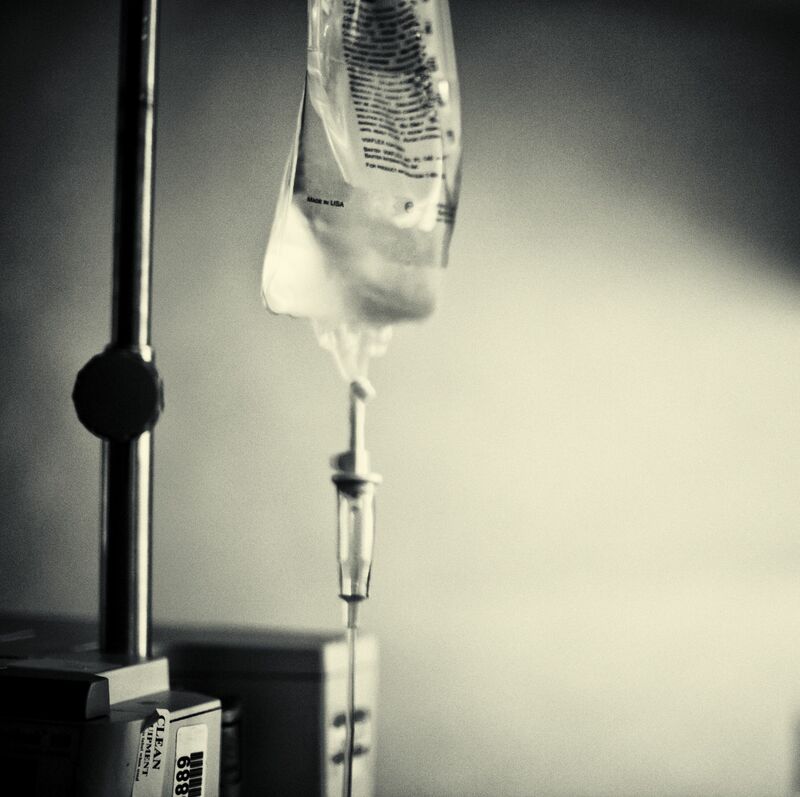 IV’s should be initiated on patients that have an actual or potential need for fluid or drug administration. SWORBHP does not have a maximum number of attempts allowed. If the patient needs it then attempt within reason! Patients with a temperature of >38 should NOT be treated with nebulized Salbutamol. 1. Gloves are PROTECTION. Gloves should only be used for what they do best – protecting you from the patient and protecting the patient from you. 2. Damage. Writing on your glove may compromise its structure and make it permeable to microscopic particles, like bacteria and viruses. 3. Cross contamination. In an ideal world, one person touches the patient and one member touches everything else to avoid cross contamination. Writing on your gloves compromises this if you’re the one caring for the patient. When completing an ACR, paramedics encounter certain problem codes more frequently than others – some only occur several times per year across all of SWORBHP region. Perhaps use this information as a reminder to double check infrequent problem codes when you enter them into your ACR. Accurate documentation is crucial to professional standards process, but also to your practice as a paramedic. As you may remember from your recent 2014-2015 Recert Precourse, we have introduced a series of new interactive eLearning modules. One of the key factors to viewing these modules is ensuring that you are using a compatible web browser. We have done some in depth testing and have determined that the best web browser is Google Chrome 14 or later. By using Google Chrome in conjunction with Flash 10 or later, you should easily be able to access, view and navigate through any of our interactive modules. If you require assistance or have any questions, feel free to contact our IT Support Team at: paramedicportalontario@lhsc.on.ca or 519-685-8500, ext. 76521. Want to stay up-to-date with what is happening at the Southwest Ontario Regional Base Hospital Program (SWORBHP)? If so, please email michelle.priebe@lhsc.on.ca to subscribe to our email notifications for when new information and updates are posted on our website! OPQRST is the beginning of a conversation about a patient’s pain. Don’t limit yourself to the six common questions. Use your patient assessment skills to learn more about the patient’s pain. This may help guide your treatments or give you a better understanding of what pathophysiological process is occurring. Is your pain constant or intermittent? Has the pain been constant or has it gradually worsened? As your pain travels from the point of origin, how does it change? Have you experienced pain like this before? If yes, what was it? Have you done anything for your pain like pain medications, ice, or elevation? Are there positions or activities that make the pain better or worse? What else can you tell me about your pain? Did you know? Text with 9-1-1 is available in 340 communities across Ontario! In the SWORBHP region text to 9-1-1 is available in the Counties of Essex, Lambton, Oneida and the Cities of Sarnia and Windsor. 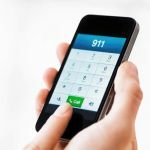 This service is available to residents who are deaf, deafened, hard of hearing or speech impaired and offers registered persons an alternative method of communicating with 9-1-1 call takers in the event of an emergency. *For more information and a complete list of the communities involved visit www.textwith911.ca. Forgot Your Book and Having Trouble Remembering Ketorolac Contraindications? Looking for an easier way to remember or identify the contraindications for Ketorolac? Remember to use your books – it’s easier than remembering a mnemonic, or try adding BIRP to the ASA Contraindications! Six-Second Method: Count the number of QRS complexes within a 6 second strip (30 large boxes) and multiply by 10 to find the number of complexes in a minute. For the following methods, the rhythm must be regular. Large Boxes: Count the number of large boxes between one R-R interval and divide into 300. Small Boxes: Count the number of small boxes between one R-R interval and divide into 1500. Sequence Method: Select an R wave that falls on a dark vertical line. Number the next 6 consecutive dark vertical lines as follows: 300, 150, 100, 75, 60, 50. Note where the next R wave falls in relation to the 6 dark vertical lines = this is the heart rate. Scenario: You have responded for to call for a 43 year old who is experiencing an allergic reaction after being exposed to peanuts. Your assessment reveals diffuse hives, facial swelling, tachycardia and reported SOB. The patient states that prior to your arrival he experienced severe abdominal cramping and multiple episodes of vomiting. He is currently nauseated.You proceed to treat the patient according to the Moderate to Severe Allergic Reaction Medical Directive and the patient receives 0.5 mg of epinephrine and 50 mg of diphenhydramine.The patient remains nauseated and has an episode of vomiting prior to departure. Should this patient receive dimenhydrinate according to the Nausea/Vomiting Medical Directive?Answer: The correct answer is no. Diphenhydramine (Benadryl) has both antihistamine and anticholinergic properties. Diphenhydramine prevents the physiological effects of histamine by blocking H1 receptor sites. This provides symptomatic relief of allergic symptoms caused by the release of histamine.Dimenhydrinate (Gravol) also has both antihistamine and anticholinergic properties. In fact, its molecular structure is a combination of diphenhydramine and 8-clorotheophylline. Dimenhydrinate is used to diminish vestibular stimulation and depress labyrinthine function through its central anticholinergic activity (decreases vomiting secondary to motion sickness). It also depresses the chemoreceptor trigger zone in the hypothalamus to prevent vomiting. Gravol competes with H1 receptor sites due to antihistamine properties. How does this information apply to YOU as a paramedic?Both medications have antihistamine and anticholinergic properties. As a result, a synergistic effect can occur if Gravol and Benadryl are administered together.Synergism occurs when two medications that have similar pharmacological properties are taken together (ie. two anticholinergic medications). The combined effect of these two medications is greater than the effect of the two medications administered alone (similarly to: 1+1=5). Neither drug by itself is necessarily harmful but together they have the potential to cause undesired side effects (sedation, hallucinations, agitation, tachycardia). This differs from potentiation which occurs when two drugs are taken together and the effect of one drug intensifies the other (a+b=B). Phalen, T., & Aehlert, B. (2012). The 12-Lead ECG in Acute Coronary Syndromes (Third Ed.). Maryland Heights, Missouri: Elsevier. Self-reporting is up 9% since 2013 (235 in 2014 versus 215 in 2013). The time required to close a self-report has decreased 3% since 2013 (25.7 days in 2014 versus 26.6 days in 2013). 7. Ensure your patient is dry. Wet skin conducts heat faster and results in greater heat loss. If your patient’s condition is improving on CPAP alone, there is no need to break the seal to administer Nitro. If, however, you feel your patient may benefit from Nitro use in addition to CPAP, go ahead, break the seal, administer the Nitro and reapply CPAP. Nitro should NEVER be administered via MDI port on the CPAP device. This would cause inhalation of the medication, which is not recommended. Nitro should ONLY be administered sublingually by spraying it under the patient’s tongue. BLS before ALS: Remember, the basics are the foundation for everything else. What do we call a perfectly packaged trauma patient? A patient with multiple IVs, bandaging, splinting, and C-spine precautions; who ultimately died from mismanagement of the BLS airway? The answer: a mismanaged patient. Is breathing adequate and oxygenation effective? How is their circulatory system? Patient assessment: The cornerstone of a great paramedic is not about the “cool” things we do; it’s about the ability to provide a consistent, solid patient exam. After all, we can all do the same skills, the importance lies in the basics every time. So, when you’re feeling frustrated, just remember to start with the ABCs and a thorough exam. Get the right answer to your question! Try to think of an ailment or injury that you are suffering from. Each person can ask one question. Start at one side of the room and work your way around the room answering each person’s questions. If you are asked a yes or no question (i.e. “Do you have any allergies?”), then answer, “Yes” or “No”. If you are asked the better question (“What are your allergies?”), then list your allergies. What treatment have you needed in the past for your allergic reaction? Real patients answer yes or no questions with yes or no answers. In real life, good questions get good answers! One of the most annoying things is trying to get a blood pressure in the back of one of our rigs: how are you supposed to hear it? You can use the cardiac monitor with NIBP that gives you readings of 160/140, but is that accurate? Old, young, heavy, thin, pink or pale, everybody has a suspiciously normal blood pressure that always ends with a zero. What is just as bad is the medic who hesitantly stammers, “Uhhhh… 135/79?” Now let’s face reality…these simply are not true readings. So, how do you get an accurate reading? Isolate the patient from everything else. Simply isolate the patient’s arm from touching anything else that it might come in contact with besides your cupped non –dominant hand under their elbow. Use the bell of your stethoscope, not the diaphragm. Turn your cuff upside down. This will prevent any annoying bumps against the head of your stethoscope. Upside down does not affect the accuracy of your findings. Learn to palpate. 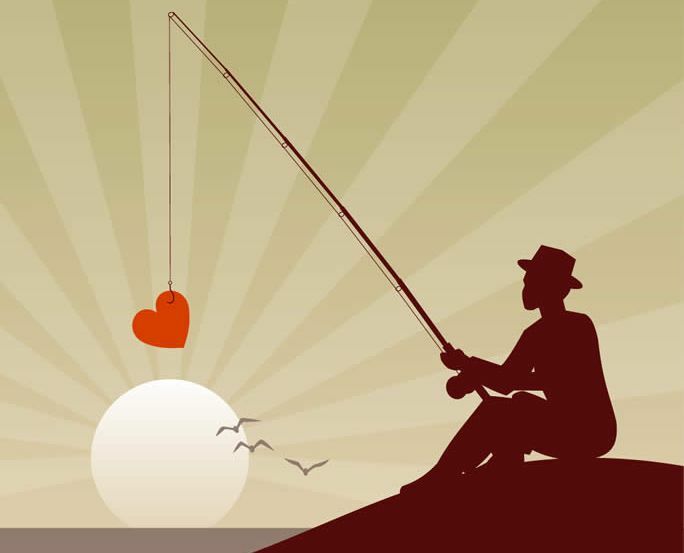 Sometimes you need to settle only for a rough systolic blood pressure. Turn everything off in the back of the truck. Get it as quiet as you can. Having trouble finding your ACR codes for the new medication for the Analgesia & Moderate to Severe Pain Medical Directives? Here they are! Remember, if you have a patient in cardiogenic shock (STEMI positive on 12 lead and hypotensive) the 0.9% NaCl fluid bolus is 10ml/kg. What should a paramedic do if a BHP patch is indicated but the BHP cannot be reached? Answer: If a BHP patch is indicated and the BHP cannot be reached despite reasonable attempts by the paramedic to establish contact, a paramedic may initiate the required treatment without the requisite online authorization if the patient is in severe distress and, in the paramedic’s opinion, the medical directive would otherwise apply. Remember that head injury and pregnancy are not contraindications to administer Dimenhydrinate. As long as there are no other contraindications, a paramedic may provide this treatment. Air Ambulance for Medical VSA? You are dispatched to a Medical VSA. Should the air ambulance be triaged to respond as well if available?Successful resuscitation of a patient from a Medical Cardiac Arrest is listed as an indication, however responding to patients who are currently VSA from a medical arrest is not listed as a current indication. Many barriers exist to having air ambulances respond as a general rule to VSA patients (time on scene of land crews vs time for air ambulance to respond to scene, landing zones etc.). For further information please see the BLS Patient Care Standards Air Ambulance Utilization Standard. When assessing a patient with a DNR, it is essential to remember which procedures are not to be initiated (and others that still should!). Not sure? Check out the Do Not Resuscitate (DNR) Standard Training Bulletin. Get to the “heart” of the matter! Certain classes of medications (i.e. beta blockers, calcium channel blockers, etc) often blunt the normal physiologic response to stressors such as sepsis, hypovolemia and hemorrhage. As a result, the heart rate may not be appropriately elevated or in keeping with the severity of the disease process in patients who are taking these medications. Now that we have your attention… when trying to remember how many ribs there are, you have to know how many vertebrae there are. Think of the common meal times, 7am, 12noon, and 5pm, which corresponds with breakfast, lunch and supper respectively. Of course you can enjoy ribs at any meal of the day. This also corresponds to the divisions between the vertebrae: cervical (7), thoracic (12), and lumbar (5). Each rib is associated with its own thoracic vertebrae, hence there are 12 pairs of ribs.Part 2: Land marking to decompress…Rib 1 is not palpable because it is buried under the clavicle and subclavian vessels. Therefore, when counting intercostal spaces, you always begin by land marking the second rib. This can be accomplished by locating the sternal angle (Angle of Louis). Think of the sternum as being a sword, it can be divided into three parts, the manubrium (the handle), the body, or gladiolus (the blade), and the xyphoid (the tip of the blade). The sternal angle is the palpable “step” that divides the handle and the blade. It marks the location of the second rib. Insertion of a needle for decompression should be performed at the lower part of the second intercostal space, to avoid damaging the vessel bundle that runs along the lower edge of each rib.Now you can “Take a Stab” at it! Have you had a call that has shaken you? Use your peers as a support network; they have likely been there and can help you through it. You can also watch on webinar on Paramedic Stress, PTSD and Supports (http://bit.ly/15tfWhW). Here is a tip and story to help you remember AV blocks (continuation). Third Degree: The ventricles have no access to the atria and are left to their own devices to contract at 20 to 40 beats per minute. The atria, however, march along to their usual drummer at the normal sinus rate. (Don’t be fooled by P waves hiding inside the QRS complexes). You have a few kids but end up divorced and go about your lives doing your own thing, HE IS ALWAYS THERE BUT YOU WANT NOTHING TO DO WITH HIM. You will never look at blocks the same. Second Degree Type 2: The P-R interval is consistent; it’s just not always followed by a QRS complex. So you decide to have a talk with your husband. He says he is going to try to not be late. The next few times he goes out he’s back on time (PR 0.12-.20) then BAM HE DOESNT SHOW UP (missed QRS). HE IS CONSTANT BUT THEN FOR NO REASON DOESNT SHOW UP. Here is a tip and story to help you remember AV blocks (continuation).The P-R interval gets progressively longer until a QRS is dropped. You decided to marry the guy who is always late so he decides he’s going to test his boundaries when he goes out with his buddies. He says he will be back at 1200 and the first night he is, the next night he goes out he comes back later – 1 am, the next night is later – 2 am, then the next night he’s so late you lock him out of the house! HE IS PROGRESSIVELY LATE and GETS LOCKED OUT. But there is something about him you like and you forgive him and the cycle continues…late…late…late… locked out for the night! Remember Wencke always comes bach! Here is a tip and story to help you remember AV blocks. First Degree: Look at the P-R interval, if it is longer than 0.20 seconds, it’s a first-degree AV block. You are dating a guy and you tell him to pick you up at 8. Instead he picks you up at 8:30. This happens consistently every time you go out. HE ALWAYS SHOWS UP BUT IS CHRONICALLY LATE. Remember, when assessing your patient use SAMPLE. When starting an IV, remember to go low and slow. Also when you feel the pop, drop. This is in reference to when you first insert the IV catheter as you do not want to go through the vein.